To create a new document, click File > New and select the type of document you want to create. 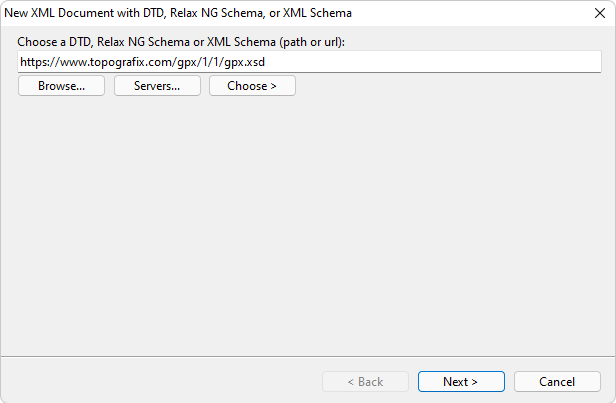 To create a new XML Document based on a specific DTD, Relax NG Schema, Schematron Schema, or XML Schema, click File > New > XML Document with DTD, Relax NG Schema or XML Schema and follow the instructions of the wizard. 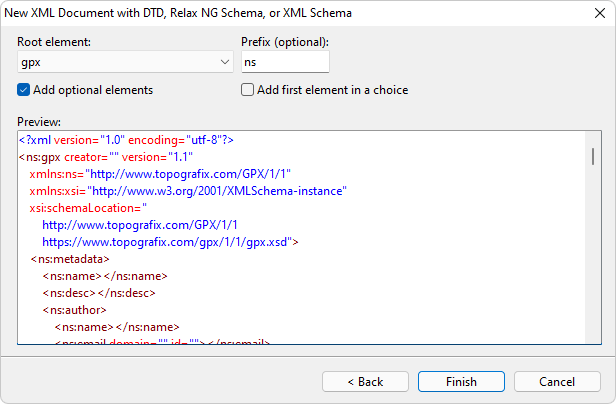 Choose Add optional elements and/or Add first element in a choice to prefill your XML document. 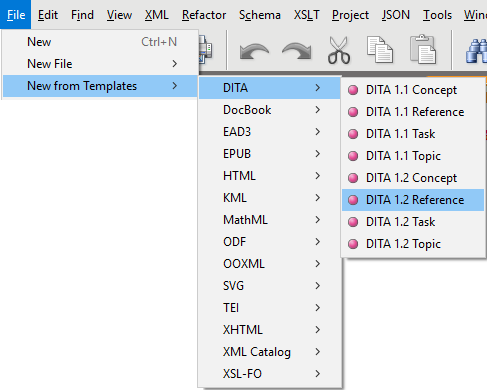 Templates are documents containing a predefined structure. Click File > New from Templates... and select the template. 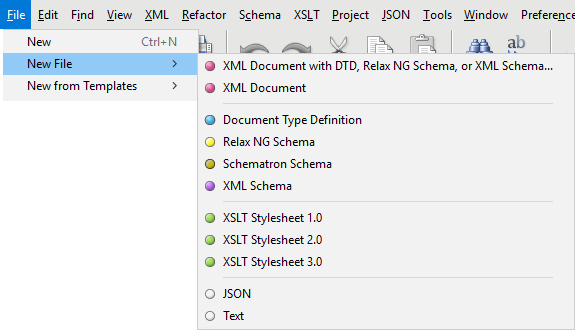 XMLBlueprint has templates for popular XML standards such as ANT, CML, DeveloperWorks, DITA, DocBook, GPX, MathML, RSS, SVG, XHTML, and XSL-FO. To create your own template, start with an empty text document (File > New > Text), make your changes and click File > Add to Templates... to store the template. To use your template, click File > New from Templates... and select your template.